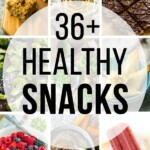 36 healthy snacks that are perfect for kids, for taking to work, or just having around the house. 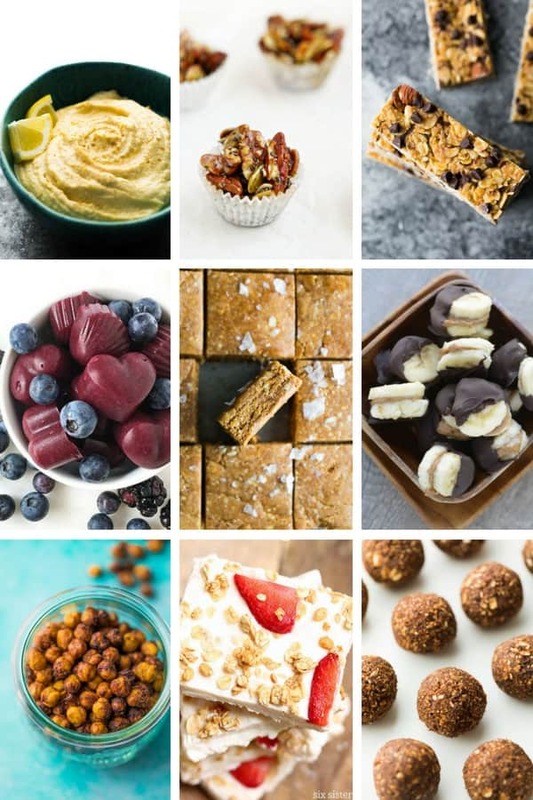 These healthy snack ideas will keep you out of a snack rut, with lots of options for both sweet and savory snacks. I don’t know about you, but sometimes, I can get hangry. If I skip a snack or eat a light lunch, sometimes that bag of tortilla chips whispers my name. And other times, it screams my name. Having healthy snacks around the house keeps me from getting hangry. Instead of reaching for the tortilla chips, I reach for a healthy snack, and it keeps me going till dinner time. 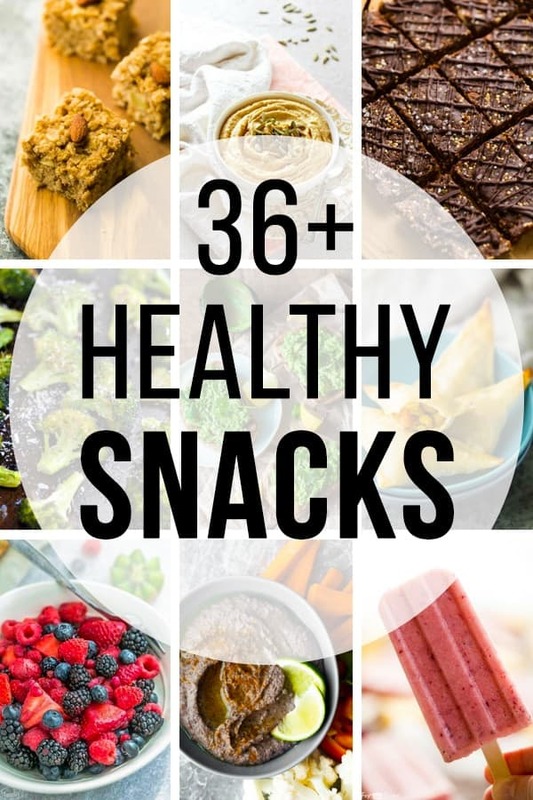 Today, we’re rounding up more than 36 healthy snack ideas…and there really is something for everyone! Whether you have a sweet tooth, or prefer savory…whether you need a healthy late night snack while you watch TV, or healthy snacks for work. 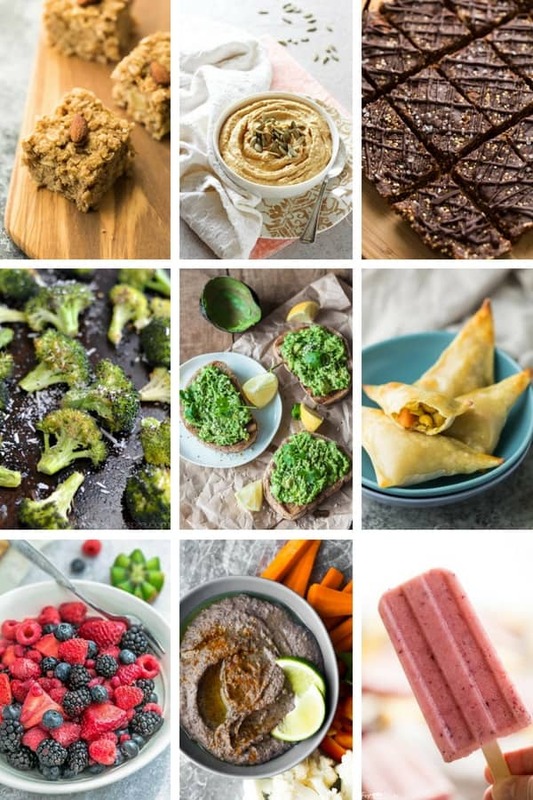 Some of these healthy snacks are even freezer-friendly, making them perfect for prepping ahead and stocking up the freezer. No more hangry episodes necessary! Let’s check out these healthy snacks! A simple trail mix recipe that can be prepped in under 10 minutes. Portion out into 8 1/2 cup containers. 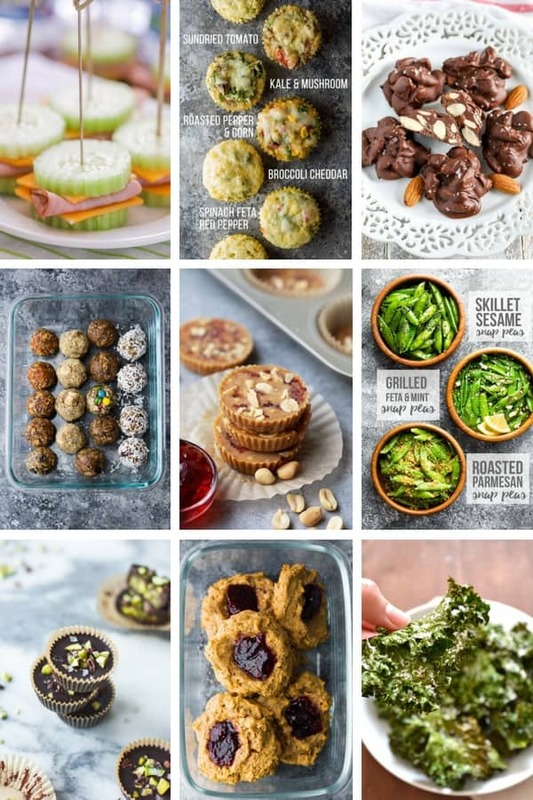 Hi, These are all great roundup of healthy snack options!. I am always trying to make something new for my baby lunch item. Can I send this health snacks item to my baby lunch box? Thanks for the sharing this. Hi Laura! I am not a huge expert in baby food, but I think it really depends on the age of your baby. Are you talking under 1 year old? If so, I’d refer to https://www.annabelkarmel.com/, she has some amazing recipes for little ones! 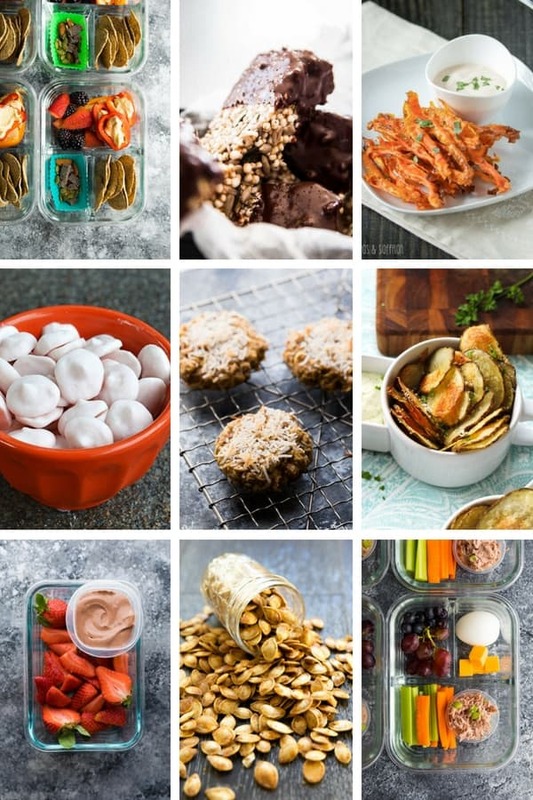 What a great roundup of healthy snack options! Thanks for including my Post Workout Smoothie Popsicles! Thanks Meghan! They look awesome!